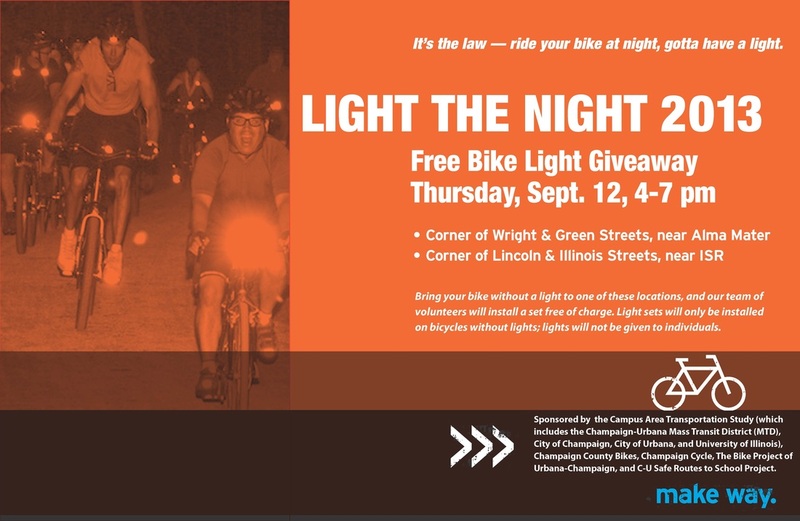 Did you know that it is the law in the cities of Champaign and Urbana for ALL bikes to have a front light on their bike when riding at night? Does your bike have lights?? The Campus and Transportation Study (CATS) gives away F-R-E-E bike lights every year! This year's Light the Night distribution will occur at TWO locations! TIP: Get there early! The event runs from 4 - 7 p.m. or until lights run out!